The Scalp Hunters by Mayne Reid. 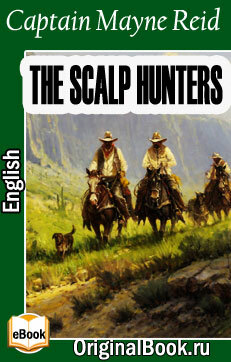 EPUB, PDF, FB2 | Free eLibrary "Original"
A wonderful Western adventure novel by Captain Mayne Reid. When Haller meets up with the mysterious Seguin after picking up with some praire merchants he instantly falls in love with his daughter Zoe. The innocent romance progresses to the point that he wishes to ask for her hand in marriage but when approached Seguin says that he will allow it if Haller helps him to rescue his other daughter Adele from the Indians. So starts a rollicking adventure across the Western plains in pursuit of the Navajo Indians who abducted her when just a child.